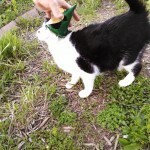 Number 5’s birthday was last month. 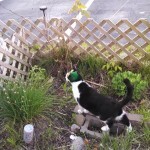 On May 23, 2014 he celebrated 5 years! 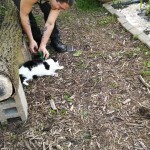 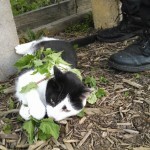 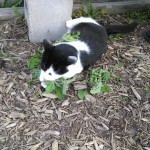 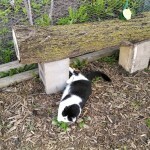 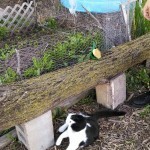 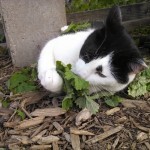 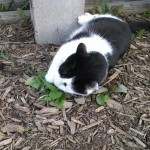 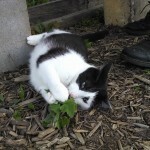 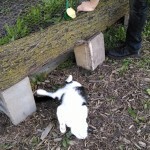 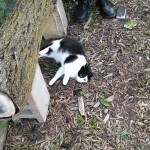 Here are some pictures from the party, which was full of garden-catnip and outdoor frolicking. 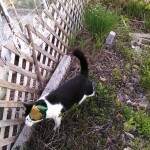 Joe made a special birthday hat for Number 5. 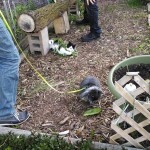 And Nimbus the bunny, Number 5’s newest companion, got to attend the party too.